I am sweating bullets on this thing! It is about 3 1/2” in diameter and 3” tall with an entry hole of 3/4”. 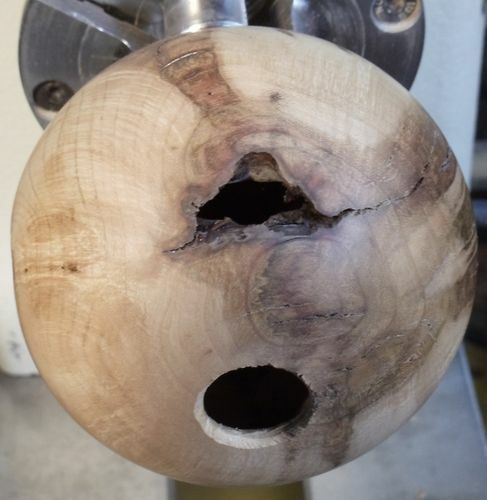 I am about halfway done with the hollowing and the finished part has walls of about 1/8” However, the tool is starting to get a bit jumpy and grabby. are you going to stabilize any of those cracks? 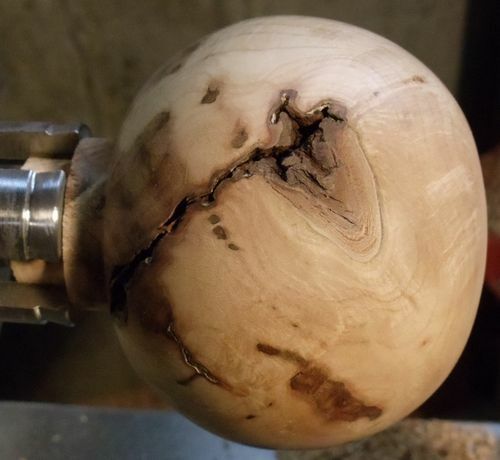 I thought about it, but decided I wanted to leave them as part of the natural character if the wood. When I went back to it the cuts were smooth again. The down side is I left the walls 1/8” because of the cracks rather than the usual ~1/16” I try to use for ornaments. 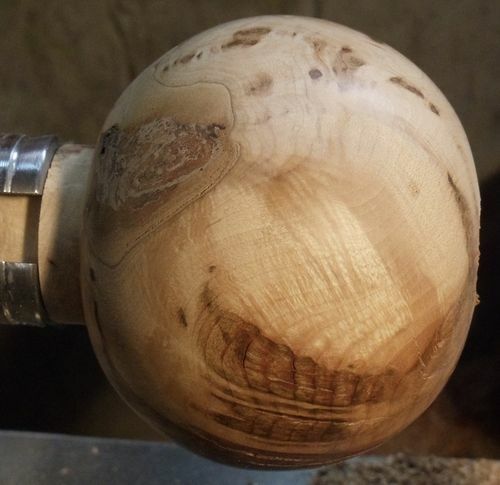 It survived the lathe, but I think it may be relegated to an ornament hanger or will need a tree with large branches. 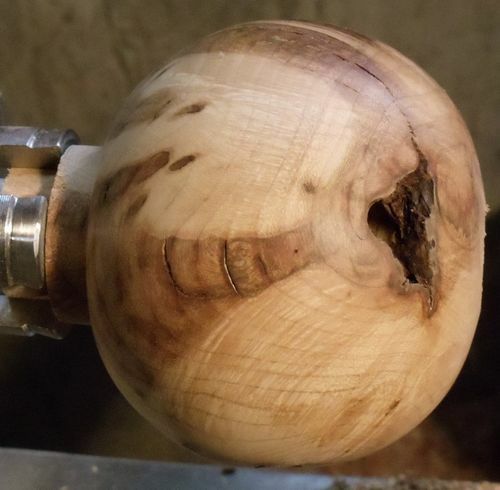 I will post a couple of pictures of the completed turning when I get a chance to take them.